The rumors were true! 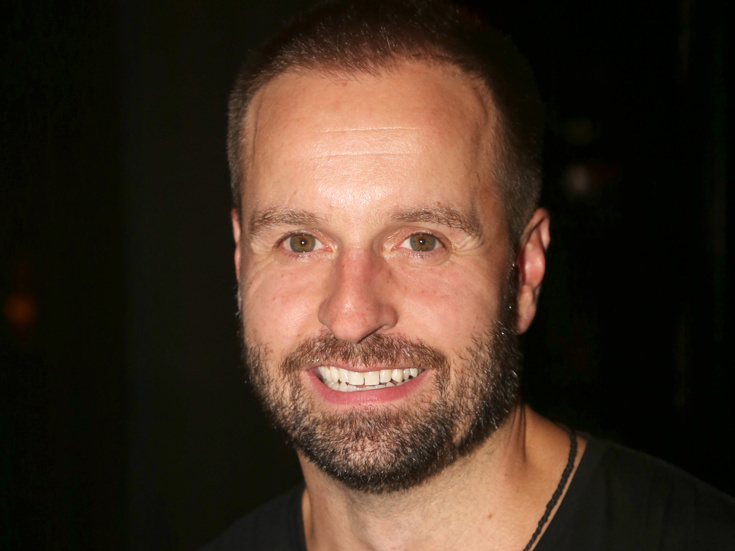 Alfie Boe, who will depart the Main Stem revival of Les Miz on February 28, is flying over to Finding Neverland. The Brit will begin performances on March 29 at Broadway's Lunt-Fontanne Theatre, taking over as J.M. Barrie for Tony Yazbeck (who as previously reported exits on March 27). After Sandy Duncan's brief foray as Madame du Maurier, Sally Ann Triplett will assume the role on March 1 through May 1. Boe made his Broadway debut as Rodolfo in Baz Luhrmann’s La Boheme, for which he and his co-stars received a special Tony Award in 2003 for their performances. He played the role of Valjean in the 25th Anniversary Concert at London’s O2 Arena in October, 2010 and went on to lead the original West End production of the show. His live opera appearances include The Pearl Fishers at the English National Opera and Romeo ET Juliette at the Royal Opera House. Triplett was most recently seen on the Great White Way in The Last Ship; she made her Main Stem debut in Carrie. A West End mainstay, her additional U.K. credits include The Best Little Whorehouse in Texas, Follies, Chess, Grease, Jolson The Musical, Cats, Anything Goes, Guys and Dolls, Acorn Antiques:The Musical!, Chicago, Mamma Mia! and Viva Forever. The cast also currently includes Kelsey Grammer as Charles Frohman (through March 26), Laura Michelle Kelly as Sylvia Llewelyn Davies and Teal Wicks as Mary Barrie. Kristy Cates and Courtney Balan will alternate playing the role of Madame du Maurier until Triplett's run begins. No word yet on whether the speculation that Boe will lead the possible London transfer of the Broadway.com Audience Choice Award-winning new musical is correct.